The Museum of Islamic Art shows you the evolution of Islamic civilisation from the first appearance of Islam up to the Ottoman period up to the 19th century. 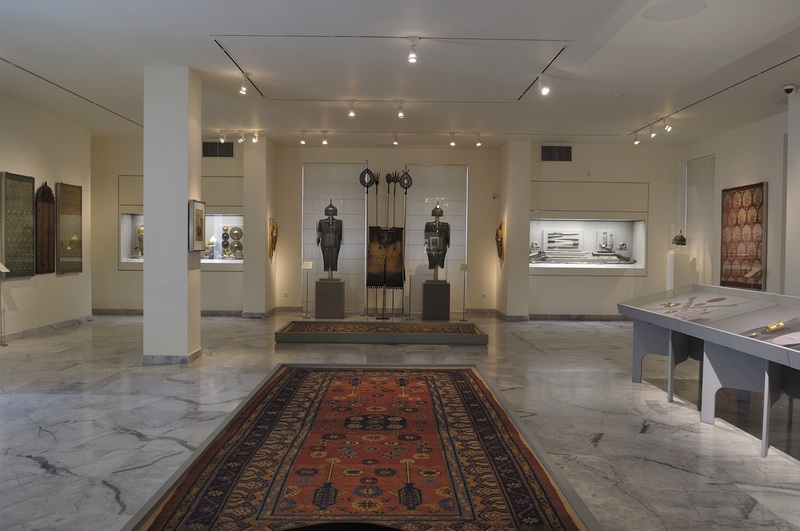 Discover more than 8,000 works of art, including ceramics, gold, metalwork, textiles and glass, smaller groupings of bone objects, inscribed funerary steles and weaponry, as well as the marble-faced interior of a reception room from a 17th-century Cairo mansion. 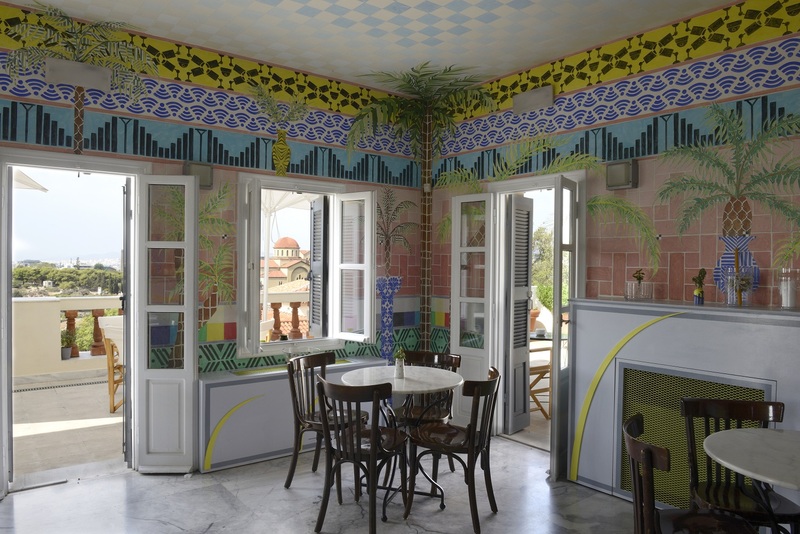 The Founder, Antonis Benakis, initially started collecting in Egypt at the beginning of the 20th century. At the same time, many similar collections were created in Europe and America, which, in many cases, complement the Benaki Museum collection. The two carved wooden memorial door panels from 8th century Mesopotamia rank amongst the more important objects in the collection, as do the unique reed wat from 10th -century Tiberias, the small brass box bearing the signature of Ismail ibn al-Ward al-Mausili dated 1200, the bronze astrolabe of Ahmad ibn al-Sarraj dated 1328/29, and the famous 16th century velvet saddle from Bursa. Islamic art is a diverse term, covering a number of countries and nationalities, so you can expect to see artefacts from all over the world, mainly focusing on Arabic, Persian and Turkish heritage, where the Islamic faith was prevalent. Exhibits (ceramics gold, metalwork, textiles, glass, furniture and weaponry) date from the 8th to the early 20th Century and largely fall into two categories: the Aniconic, which was purely religious and where human and animal figures were forbidden, and art meant for the palace where illustration plays a key role. The Museum itself doesn’t have a specifically allocated space for itinerant exhibitions, which means that visiting artworks blend with the permanent collection in a constant dialogue. 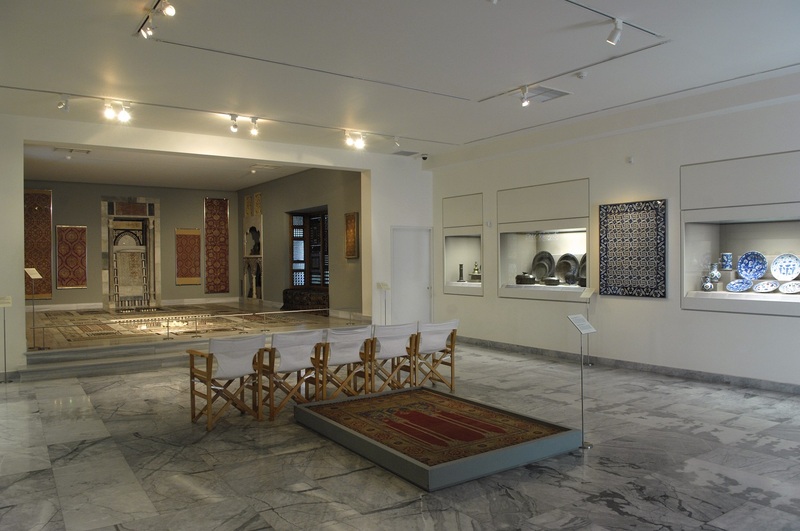 The Benaki Museum of Islamic Art is the crown jewel of a quaint, multi-cultural neighbourhood that includes the Beth Shalom synagogue, one of the few hammam baths in the city and the charming Psaropoulos Museum of Traditional Pottery. It is a 4-storey building but easily accessible as it has an elevator. Visit the cafe on the top floor and enjoy a cosy atmosphere and an amazing view. The easiest way to get here is via the Metro line 3 (closer to Monastiraki station) Rail Thiseion Station.